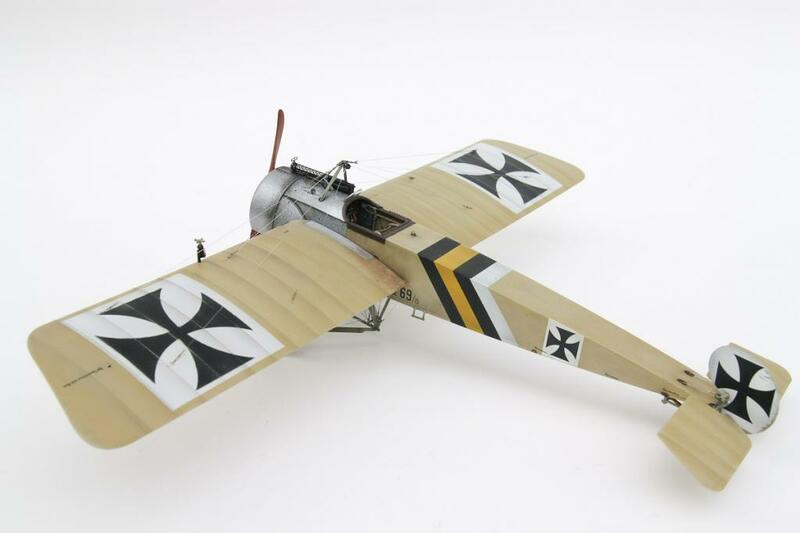 I've written about my struggles with rigging in the past, so it should be no surprise when I say how much I admire modelers who excel with aircraft from the early years of aviation, particularly World War One. It was quite fortuitous, then, that while watching a really good show on The Military Channel about WW1 aviators that I saw Dirk Polchow's Wingnut Wings 1/32 Fokker E.II on Hyperscale. It is in my opinion nothing less than a perfect example a modeling at its best. That the model is inherently delicate only boosts my admiration of Dirk's skill. I could probably list 20 things I like about the model, but you're just as knowledgable about these sorts of things as I am, so I'll leave it to you to study the photos and sit in awe with me. If you want to see in progress photos of the model, hop over to WW1 Aircraft Models. My thanks to Dirk for allowing me to use the photo above.